If you have damage, we can help you work with your insurance company. 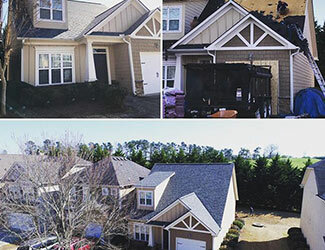 Roofing Resources will perform a NO COST inspection of your roof and other areas of your home. If roof damage is found that warrants an insurance claim, we will begin the following process for roof replacement or roof repairs. We will meet with the insurance adjuster for the inspection of your home, show them the damage and ensure that all supporting evidence is considered when they decide whether your insurance company should fund your roof repairs or roof replacement costs. * THIS GREATLY INCREASES THE LIKELIHOOD OF HAVING YOUR INSURANCE COMPANY PAY FOR ALL EXISTING DAMAGE* Once a claim is approved, we must work in accordance with the insurance company scope for the payment they provide, plus the deductible stipulated in your policy. There is a process whereby we can request additional payment for necessary work that is beyond the scope of the original insurance estimate. In those cases, we will work with your insurance company for approval and payment to cover the additional roofing services. Roofing Resources will proceed with completing repairs on your home by creating a material order and placing your job on the calendar for production. The insurance company will make payments directly to you. You will then pay Roofing Resources for repairs based upon the insurance estimate. Most jobs take 1-2 days depending on the extent of roofing services needed. Your full warranty is in effect upon final inspection and full payment. NOTE: Manipulation of billing versus the claim amount is insurance fraud – Both you and your contractor can be prosecuted for it, so be wary of contractors who promise to return insurance claim money or the deductible to you! Also, most contractors who give low-ball quotes are only able to do so by cutting corners. Be careful to get written quotes, with details on the scope of work, especially when the quoted price is much lower than other roofing companies.